One of my students wrote me enquiring how to draw tapered and splayed legs. 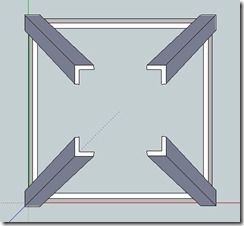 He was trying to use the usual technique starting with a square representing the cross-sectional area and extruding it to the legs height. Tapered and splayed legs are tricky to draw because of the compound angle the top and bottom of the leg are cut. The usual way of drawing a tapered leg can be used, but when the legs are then splayed in two directions you run into numerous problems with Rotation and Push/Pull operations. Unless you were an A+ student in high school geometry class and can visualize complex rotations in your head,this is a difficult way to proceed. 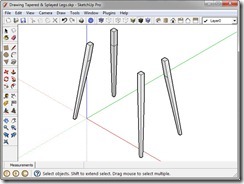 An easy way to draw these legs is to treat them as the intersection of two parts; each an extrusion, one from a front view and one from a side view. 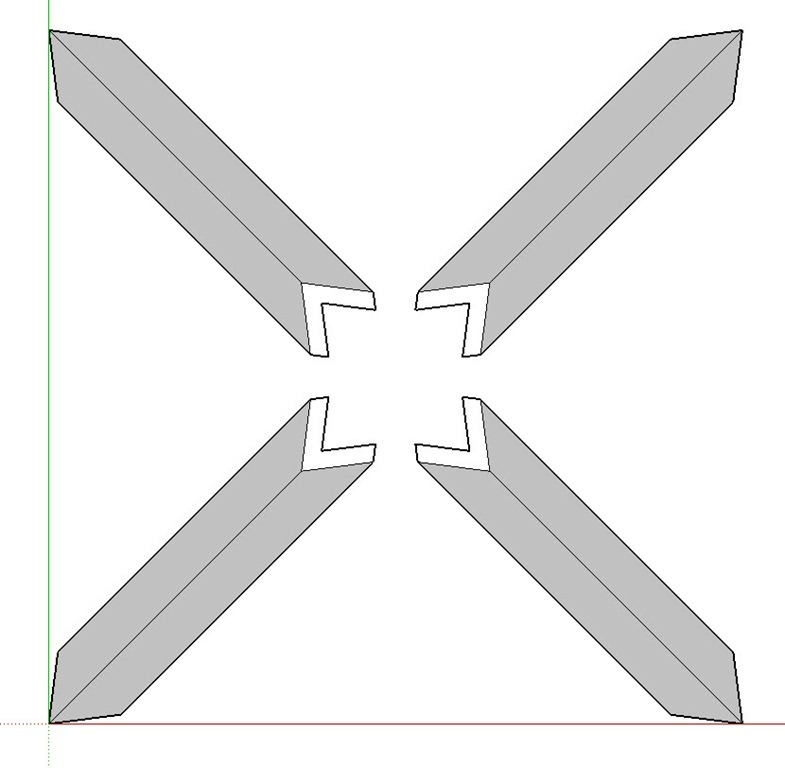 This can be done with the Intersect Faces tool. This video demonstrates this technique. 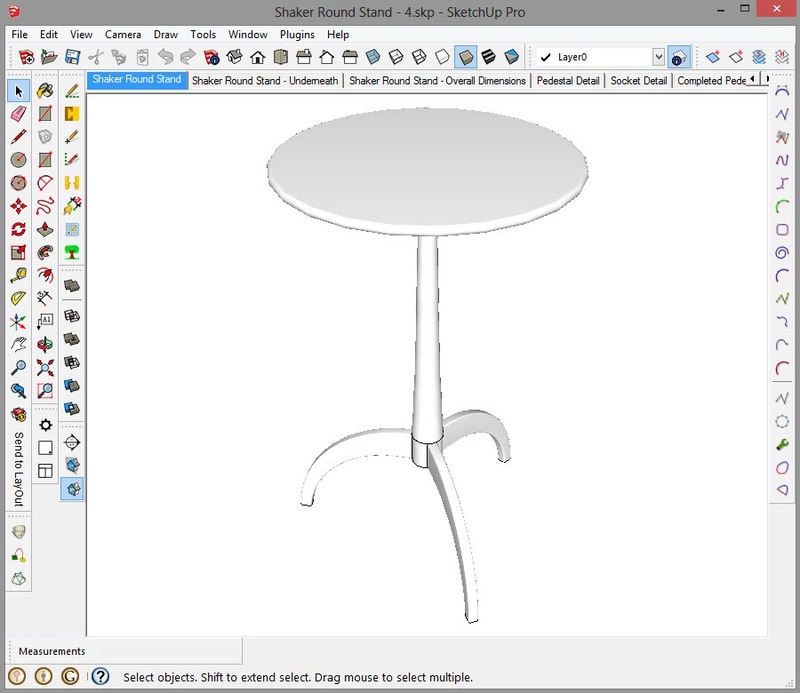 As you watch the video there is a portion of it where I run into problems because of SketchUp’s difficulty in dealing with very small entities. I stumbled and eventually found a work-around. I chose not to edit this out because I thought it a good learning experience for both you and me. I did add a subsequent section to the video to show a better approach. So I apologize for the rather amateurish resulting video, but the teaching and learning moment I couldn’t pass up. 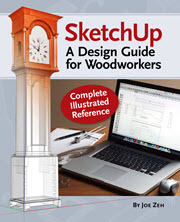 This also points out one of the tenets of drawing in SketchUp. Think ahead! If I had practiced this tenet on this particular occasion I would not have run into this problem. 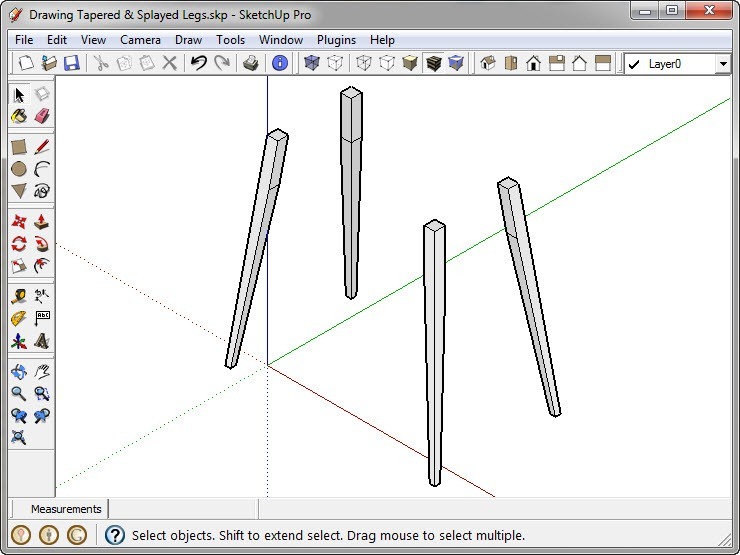 You can view Drawing Tapered & Splayed Legs by pressing the play icon below or by downloading it to your system. 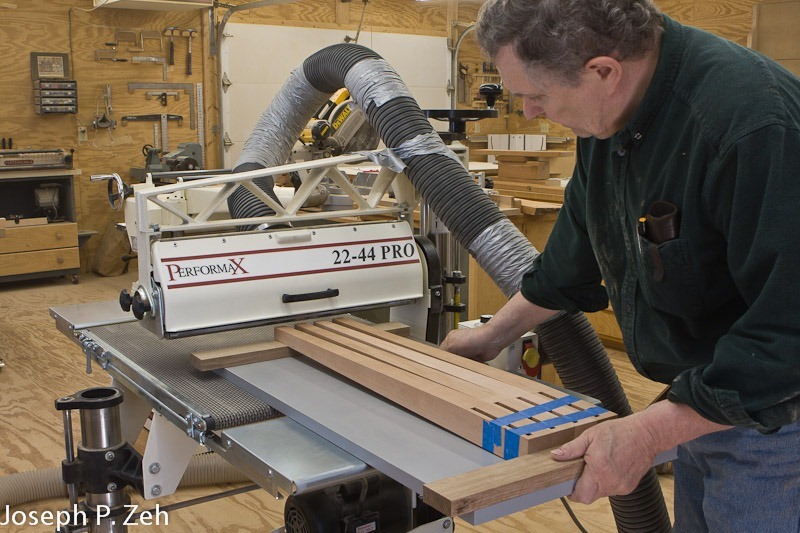 A reader wrote me in the comment section of one of my blogs and asked how I like the Performax Pro 22-44 drum sander. He was considering purchasing one and wanted my opinion. I replied “I can’t say enough good things about the Performax Pro 22-44 drum sander”, and I can’t. So much so I thought I would write a post just about this invaluable tool. This is not a power tool that gets used only on occasion – no sir. Nearly every board in my shop goes through it during at least one process step. Mostly immediately following the planner. I use it for final thicknessing of all parts using 80 grit paper. I may also use it for finish sanding of panels and other parts with 220 grit paper. This is especially true for stock that has grain direction changes that would cause tear out with a hand plane. 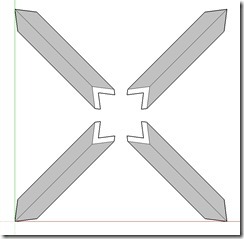 My thicknessing process starts with the planner where the stock is brought to within 1/16” or 1/32” of final thickness. If the stock is figured wood such as tiger maple or blistered maple I may even leave the stock 1/8” over sized because tear out on figured woods can be excessive. I will then bring the stock to within 1/32” or 1/64” with the 80 grit paper on the Performax Pro. Depending on other factors, I may even bring it to final thickness with 220 grit drum paper. 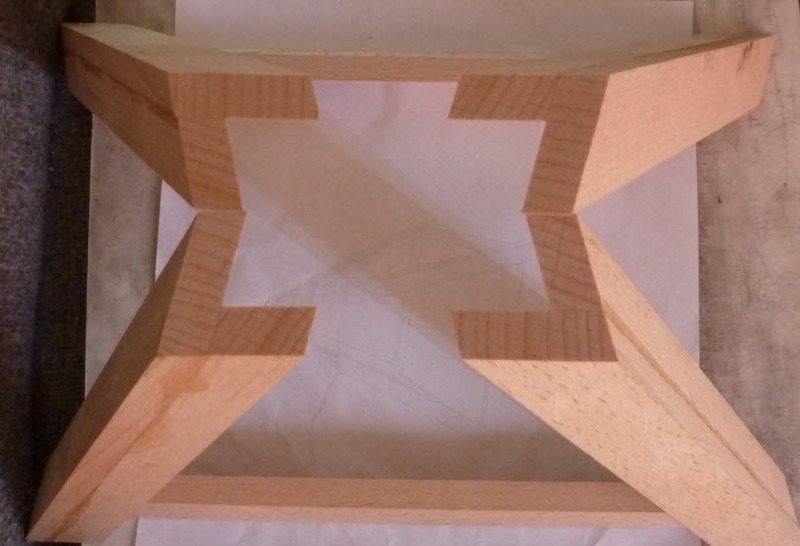 The drum sander has five significant advantages over the planner for final thicknessing. First there is negligible to no snipe at the ends. Hence you can save two to four inches on rough stock lengths. 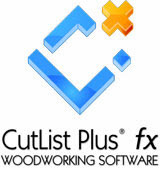 Second, small nicks in a planner or jointer blade leave noticeable ridges in the wood. This only happens on a drum sander if you have a burn in the paper from clogging (generally caused by pitch pockets). But the latter is extremely rare while the former is quite common. Third, with fine paper you can attain the final thickness while also leaving the stock with a finished surface. 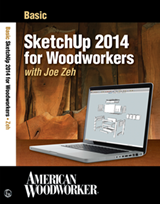 Fourth, you can finish figured woods with no tear out, which is nearly impossible on the planner. Fifth, and this brings me to another feature of the Performax Pro in particular, is that you can thickness wide panels. The 22-44 in its name means you can sand panels as wide as 22” in single passes, or up to 44” in two passes. 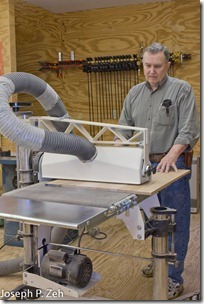 Note in the picture on the right that the panel hangs out the edge of the drum sander. 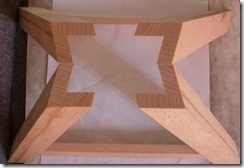 Simply turn the panel around to sand the remaining portion. 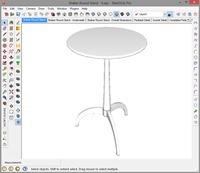 This can be a little tricky on long and wide panels, for example, 30” wide and 72” long table tops. You must be careful to keep the piece moving and prevent it from drooping over the edge due to its weight. It helps to have a helper in such situations. One of the things about a drum sander is that it is relatively safe. You might get pinched if you are not careful but it is very unlikely that you would lose a digit or suffer a significant cut. In fact, if you use your imagination you can use the drum sander to de-risk otherwise risky shop operations. 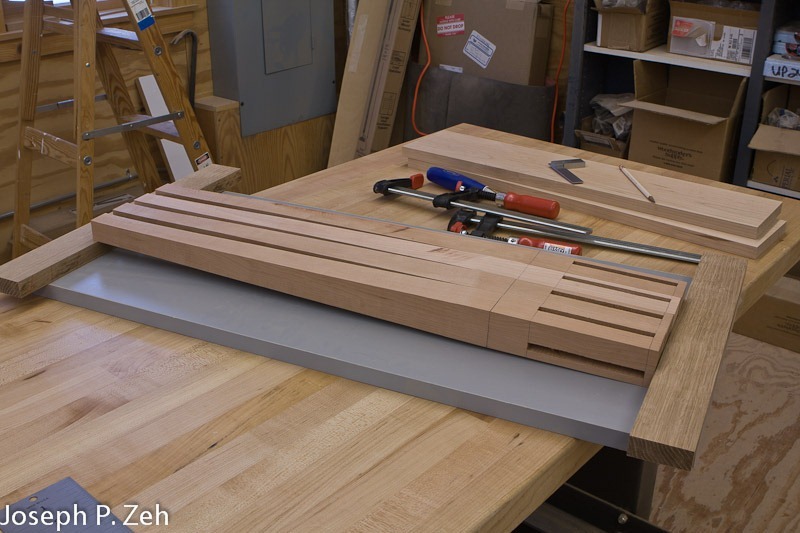 For example, tapering table legs can be a risky operation, particularly on a table saw. But you can taper legs on a drum sander very safely. In the picture above left I have rough cut tapers on four legs using the band saw in free hand style (this is not a necessary step but one that makes things go quicker). No need to be accurate, just be sure to leave the taper line. 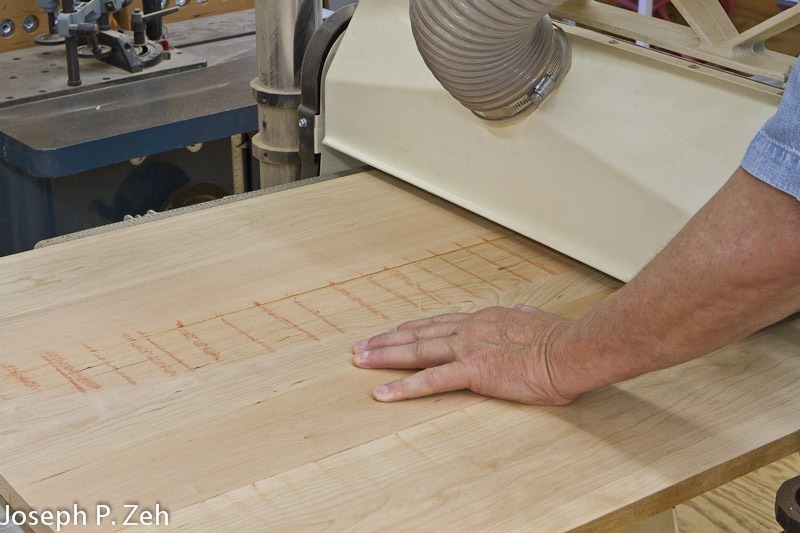 Stay an 1/8” away from it if you are not confident about your free hand cutting ability with a band saw; or skip this step all together and do it all on the drum sander. The jig is simple; use either 3/4” plywood, or as I have here, a Formica covered piece of particle board. Using double sided sticky tape place two pieces of 3/4” wood in the direction perpendicular to travel through the drum sander. 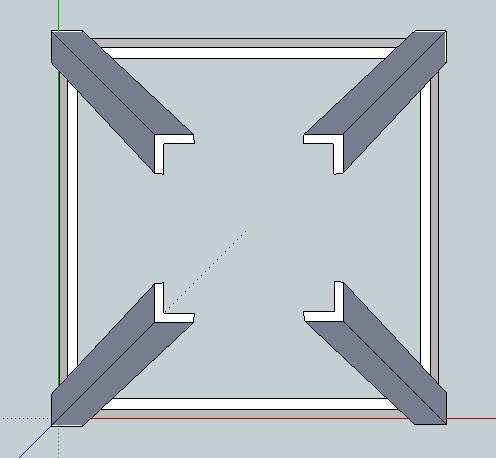 Space them for the correct taper by sliding one board closer to or further away from the other until the taper lines are parallel to the jig surface. Place the rough taper legs as I have in the photo with one piece keeping the legs from moving beyond the end of the jig and the other providing the correct taper. You may wish to tape the top ends of the legs together to keep them from slipping sideways. Start with 80 grit paper and finish with 220 grit paper and feed the legs through while monitoring the taper lines. See photo at right above. 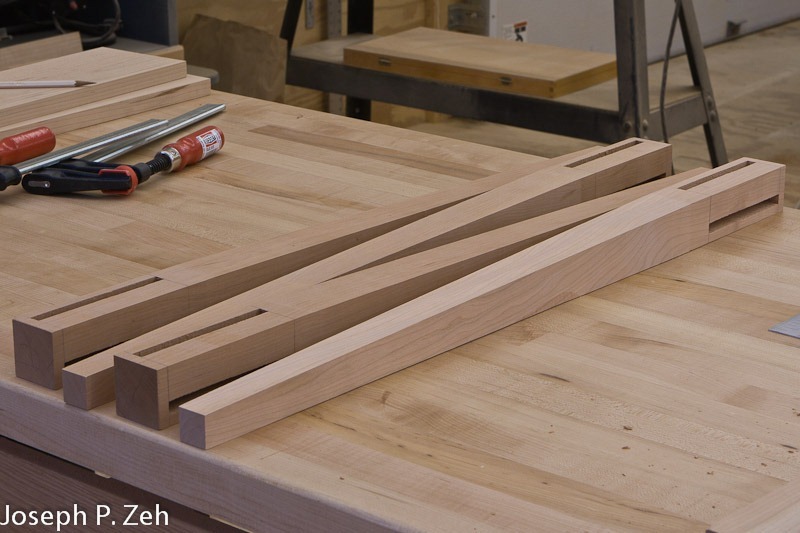 The finished legs are shown at left; they are completed and require no final sanding. I have found this method to be not only safe, but the final product is more accurate than when cut on the table saw. In addition there are no burn marks from the saw blade which is particularly troublesome with cherry. Lastly, any significant grain direction change is no problem for the drum sander, but might be for even a hand plane. These legs were made for an Office Table which you can read more about by gong to http://www.srww.com/office_table.htm. Glue ups can create wide panels and no matter how careful you are the individual boards do not align perfectly. I generally leave panel stock 1/16” to 1/8” thicker than finished width. After the glue is dried I scrape any excess squeeze out from the panel and then draw numerous parallel lines on each side with carpenter’s crayon. I sand one side keeping an eye on the disappearance of the crayon marks. As soon as they are completely gone I turn the panel over and bring the opposite side to parallel. With 220 grit I then bring the panel to final thickness. See the picture at right. Two things you need to know about this tool: One, you must have dust collection connected and running at all the times when you are using the Performax; Two, feed the material at half speed, using 1/8 turn on depth adjustment for each pass and don’t let the material stop. I have ruined several pieces of cherry when I first used the Performax Pro until I understood these issues. One last piece of advice. If you do buy a Performax, it comes with a drive belt that moves the material which is similar to a sandpaper belt. Optionally they sell a rubber surfaced belt. Buy it. It’s worth the extra cost. The grip is better and it doesn’t mar your surface. 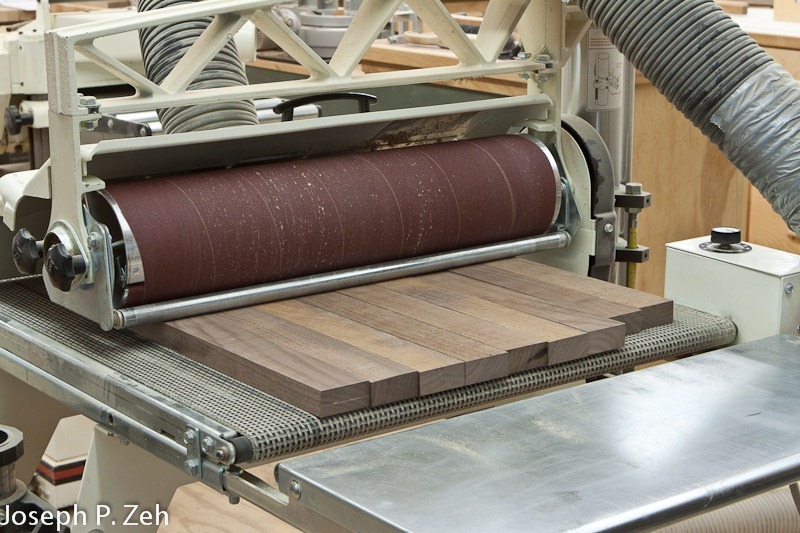 As you can see, the Performax Pro 22-44 drum sander is an invaluable and frequently useable tool. Not only does it do a better job in many situations, but it is often more accurate and safer. Its snipe free operation can result in less material used. And it can handle wide boards and panels that the planner cannot. It is the only tool that can handle figured or difficult wood without any chance of tear out. Even my trusty hand planes cannot guarantee that. This machine has been a workhorse in my shop and it is rugged and reliable. I wouldn’t hesitate a second to buy another if I found it necessary to do so. But I have a feeling this one will last so long that buying another will never be an option.